(November 2008) Prize question: you are to design flooring for the inner court of a building housing a mineralogical collection. What ideas would you have? 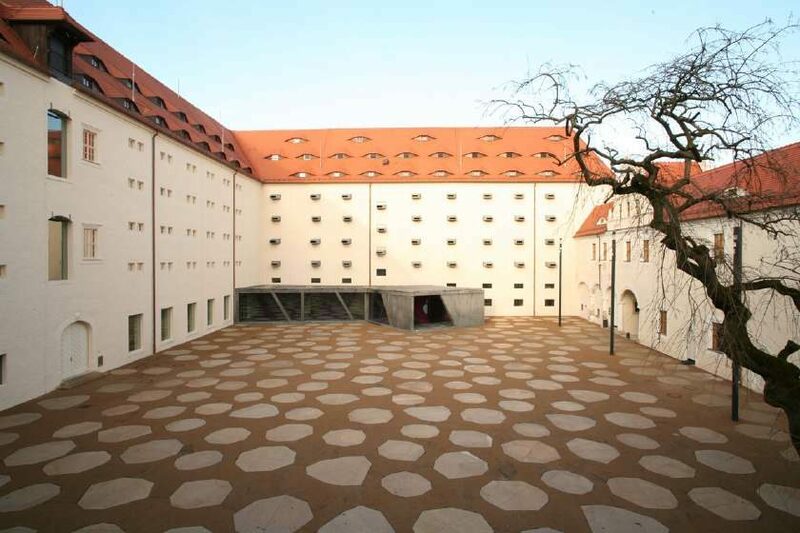 Birgit Hammer, a landscape-architect from Berlin had an unconventional idea: for the inner court of the Freiberg castle in Saxony, now housing the world’s largest collection of minerals „Terra Mineralia“, she conceived polygonal granite plates representing the various crystal structures of minerals. 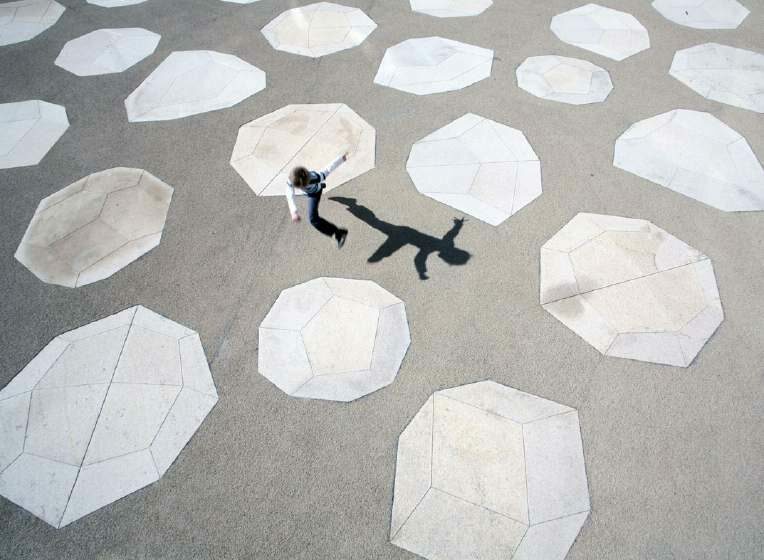 The challenge was giving the surfaces a three-dimensional appearance – crystals are, after all, three-dimensional. 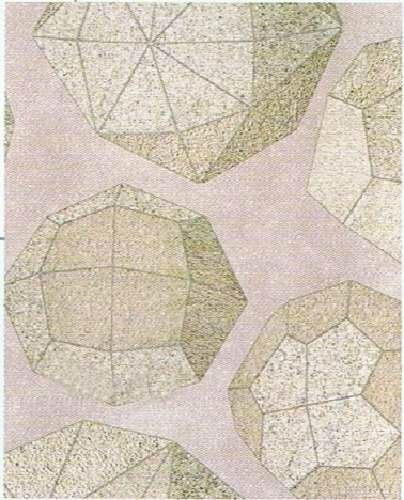 To achieve this, Birgit Hammer used a masons‘ trick. The plates are devided into separate surfaces, which were then flamed, bushhammered, fine bushhammered or charred respectively distinguishing one from another and creating the optical illusion of three-dimensionality. The original plan was to name each crystal and incorporate additional information in the plates. This plan, however, was dropped in the interest of cutting costs.